The all-star foursome of James Cagney, Henry Fonda, Jack Lemmon and William Powell star in this World War II dramatic comedy. 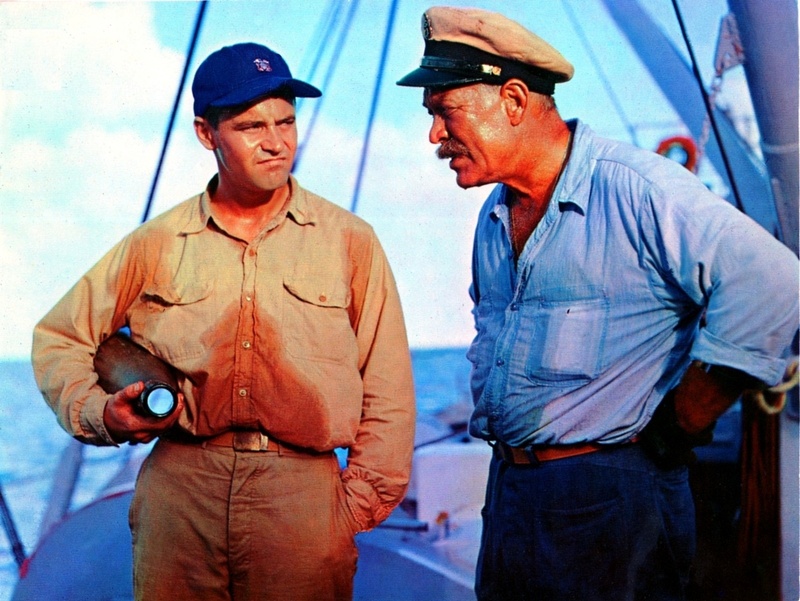 Cagney is Captain Morton of the navy cargo ship The Reluctant, known by the crew as “The Bucket.” The ship has been in the pacific during World War II, but doesn’t seem to have been a ship of much importance or status. Fonda is Lt. JG Doug Roberts. Powell is also a lieutenant and serves as the ship’s medical officer, nicknamed Doc. Lemmon is Ens. Frank Thurlow Pulver, the odd one out in the bunch – a lazy man who does the laundry and likes to sing to himself, making a point to avoid the action of the war. Roberts desperately wants to transfer to a more important ship, but is constantly stopped by Captain Morton. And he isn’t the only crew member who butts heads with the captain. Nearly every crew member seems to have a problem with Morton, the stuffy and somewhat oppressive leader of their ship. The film is based on the stage production in which Henry Fonda also starred for over 1100 performances. As expected from such a top-notch cast, the performances in this film are just phenomenal. Jack Lemmon is especially great in the film. I’m partial to him as an actor in general. 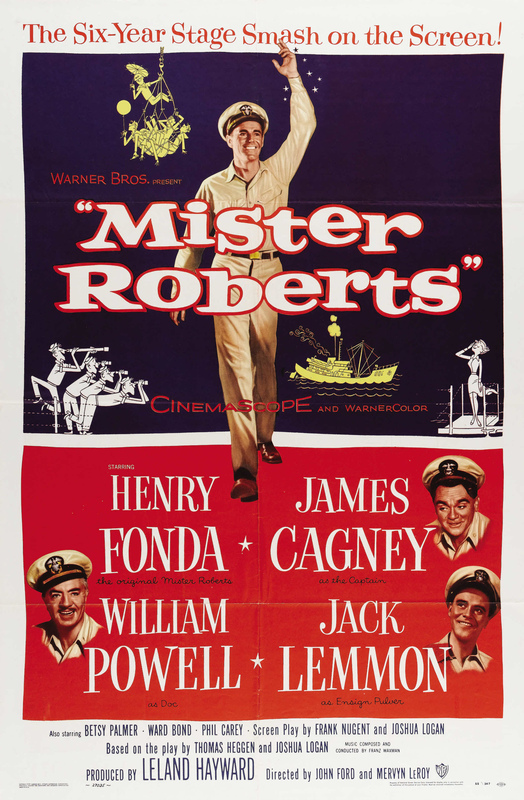 It’s a loyal Lemmon bias I’ve got, but his character in Mister Roberts is also absolutely brilliant and shows a lot of growth by the end of the film as well. Cagney is also perfect in his role. His character could have easily been a dark cloud over the film had a less capable actor been cast, but Cagney injects a comedic slant to Capt. Morton that makes him one of the best parts of the film.